We sat down to the table, took a bite, and man, that bird was NOT GOOD. The meat was, well, tough. And kinda dry too! It was actually sorta hard to chew. I felt silly. And confused. My mother taught me cooking basics when I was super young. And I was cooking family dinners by 8 years old. I was NOT an inexperienced cook. Why was my roast chicken a total flop??? But there was the ray of hope - the bird was tough, but the flavor was truly amazing. Hands down, the best tasting chicken I’d ever had. So I embraced the challenge - how could I keep the flavor, enhance the moistness and lose the toughness? I started experimenting. First, how did pastured chicken do in wet heat (braising, curries, stews). Turns out that, in wet heat, the pastured chicken immediately out-performed grocery store chicken. Pastured chicken was tender and flavorful while still holding its shape. In those same recipes, the grocery store stuff often was mushy and oily. That was my “aha” moment. Pastured birds have way, way less fat. In fact, many will have next to no excess fat at all. It’s no wonder - they run around on pasture all day eating amazing stuff. Let’s not even try to compare that to the confined, crowded life of a grocery store chicken. 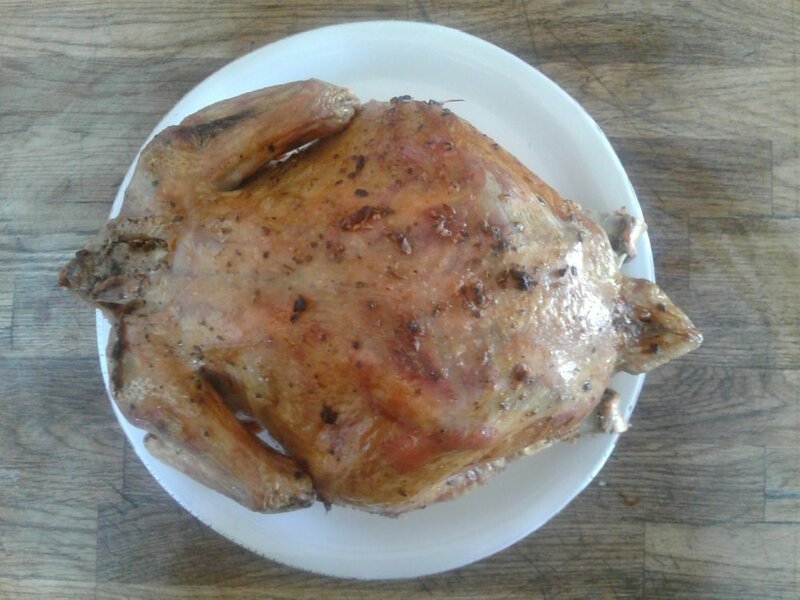 When I had been roasting grocery store birds (typically loaded with excess fat), I had been trying to render as much fat out of the chicken as possible. With the pastured chicken, I needed the roasting process to retain as much fat in the chicken as possible. I love both methods but they do have 2 slightly different results. The slow method gives you fall-off the bone tender meat and skin that is decently crispy. My husband loves this method. With the faster method, the meat will be slightly less tender but the skin will be extra crispy. This one is my kids’ favorite. So below I’ve included the technique I’ve been using for the “low and slow” method. Later in the month, I’ll give you some “hot and fast” options too. But, in the meantime, I would love to hear what you’ve tried in your home. In the comments, let me know - have you had the same toughness problem I did? If so, what have you done? Has it worked? I’d especially love to hear those cases where cooking pastured chicken is not working for you. Let’s solve that problem together! Mix Seasoning Rub ingredients into paste. Rub paste on and under the skin, as well as inside the bird's cavity. If not using Dry Rub, just salt and pepper the bird inside and out. A half Tbsp sea salt and and 1 tsp pepper should work but adjust to taste. Place chicken, breast side up, on roasting pan. Bake breast side up for 1.5-2 hrs, then flip the bird and bake for another 5-6 hours. You'll know the bird is done when the skin is a golden-red and the meat feels very tender when pricked with a fork. Want more farm-fresh recipes, videos and kitchen how-tos? And be sure to check your inbox. We’ve sent you our free guide on how to get 3 farm-fresh meals from just 1 Pastured Chicken! Newer PostPart 2: Why is my roast pastured chicken tough and dry?? ?